Good governance matters a great deal in getting equitable and sustainable development results, where the vision and leadership at the political level gain full effectiveness when shaped in full engagement with the people. Giving ordinary citizens a voice and a stake in their government and economy helps ensure effective resource allocation and service delivery which is responsive to people's needs. A functional rule of law system providing that the law works equally for everyone is a critical aspect for development. We believe that guaranteeing a robust and accessible justice system and an active participation of citizens in the decisions that affect their lives, make a difference in development, from national to local level. UNDP works with the government, parliament, independent national institutions and local governments, to improve the quality of governance for sustainable development. Albania has pursued crucial reforms in its efforts to ensure stable institutions, a functional democracy which upholds the rule of law and guarantees the respect of human rights. Among the most significant reforms that the Government of Albania has been engaged in since 2016 are related to the reorganization of the justice system and the functionality of the rule of law, which are also key conditions for Albania's EU accession. 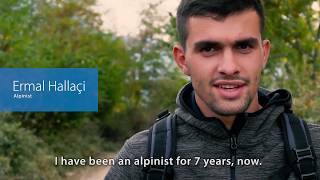 Albania is a candidate country for EU membership, and the Government is committed to pursuing the reform agenda under the EU integration, with a particular focus on the five key priorities. For UNDP, the 2030 Development Agenda, agreed by all Member States in September 2015, is fully aligned with the EU accession key priorities and in particular with Sustainable Development Goal 16 on just, peaceful and inclusive societies to which Albania has subscribed. We are committed to closely assist national and local institutions to pursue a good governance reform agenda for accelerating development. UNDP supported the design and implementation of the Territorial and Administrative Reform in Albania, as a critical process towards an improved decentralization framework, strengthening the local governance system as well as the territorial management and the economic efficiency at the local level. Currently, UNDP is working with the newly established local governments aiming to strengthen their institutional capacities and responsiveness to citizens' needs, improve access to and quality of local service delivery and promote local democracy in line with the evolving decentralized competencies and functions, upholding the principles of democratic governance. UNDP also helps build institutional capacities and contributes to policy development and the identification of good practices for reforming the central government service delivery. For UNDP, positive change in service delivery provision is at the core of good governance and effective functioning of public administration. In the framework of public administration reform, efforts to modernize public services delivery through innovation, also represent a powerful tool in the fight against corruption. 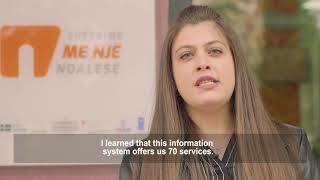 Assistance focuses on fostering a customer-care culture, enhancing access to services, strengthening citizen feedback and increasing the efficiency and accountability of the Albanian public administration. A similar framework is also tailored to the needs of local governments. In parallel, UNDP promotes evidence-based analysis for policy making by engaging in the design and implementation of nation-wide surveying, including Living Standard Measurement Surveys, Trust in Governance Opinion Polls, Local Governance Mapping and other public administration performance measuring tools. UNDP supports human rights protection by strengthening the capacities of the Anti-Discrimination Commissioner Office and other independent oversight institutions, to establish a consolidated system of complaint management and increase the inclusion of vulnerable groups to the scope of work of this institution. UNDP is a key contributor to the advancement of the gender equality agenda. It assists in the formulation of gender equality-related legislation and the establishment of measurement systems and datasets on gender, women’s economic opportunities, women’s access to justice, level of gender mainstreaming into development policies and advocacy for an end to violence against women. benfits from the One Stop Shops system per day. The system helps citizens get municipal services faster with no uncecessary travel and delays.